A pair of late 19thc ormolu candlesticks in the Rococo style. 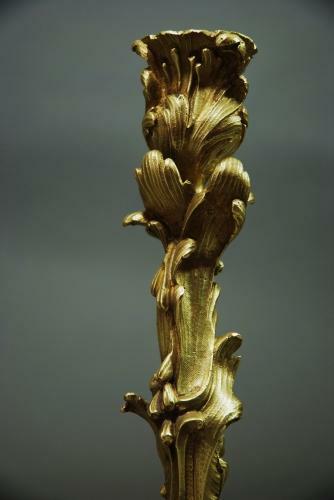 These candlesticks are of fine quality and have leaf & foliage designs and therefore taking the Rococo influence. The candle holders, stems and bases consist of decorative foliage scroll designs. These pieces are of good condition & nice quality.